If you ask a Barcelonian what is the favorite day of the week, properly you would get Thursday as the answer. Thursday is the almost-the-last working day in the week. It is the weekday for connection with family and friends. There must be a reason for paella served as the “Menú del dia” (menu of the day) on Thursday – it’s time for family. What if you wish to spend this favorite weekday with your colleagues or buddies? Then go for the tapas route, where you can enjoy the best cuisines in the neighborhood in small bites. So what are tapas? They are small savory dishes, served as a snack with drinks before lunch or dinner. In other cities in Spain, you may order a drink in a bar and the price then includes a tapas already. However, it is uncommon in the capital of Catalan – Barcelona. Tapas route is a route with participated restaurants/bars that offer a drink and a tapas at a reduced price, which is usually just equal to the drink itself. The route opens only on Thursday. It means that on the other days of the week, going to these participated restaurants and you still have to pay for a drink and tapas separately. There are many types of tapas made of anchovy, tortilla chips Chihuahua to pork chips so it would never be bored to try different ones, which are the featuring dishes made by different bars/restaurant. Therefore, do research your favorite tapas and pick up the restaurants on the route. 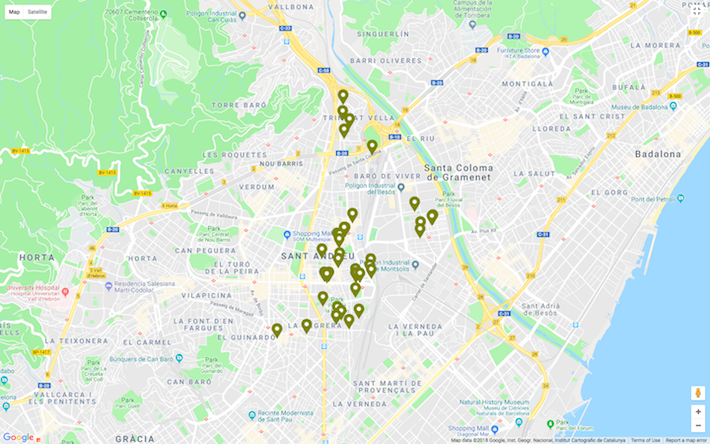 If it is your first time in Barcelona or even Spain, then just pick up some bars/restaurants on the tapas route near you and try them! All Thursday from 19 to 22, from May 3 to July 19, 2018. One route with about 40 participants with a variety of delicious tapas with chicken, pork, tuna, Frankfurt potatoes, chicken pancake, black pudding to skewers. Full menu and participants could be found here. For more details, please visit the official website. All Thursday from 19 to 22, from March 1 to December 31, 2018. Four tapas routes, Blue, Green, Red, Violet with a total of 26 participants. Filter participant bars/restaurants nearby with your location and by name is available. Full menu and participants address could be found here. For more details, please visit the official website. Enjoy tapas route and share with us your favorite ones!